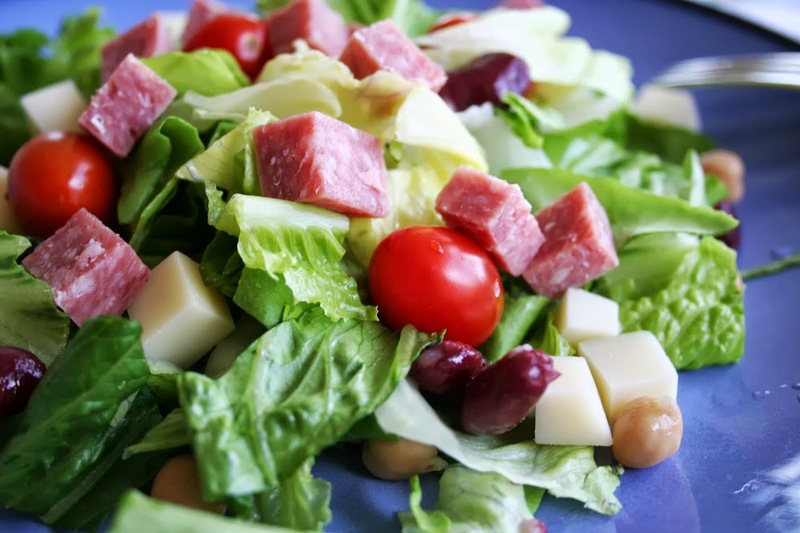 I made this salad for a group of ladies and judging by how little of this was left, it was a hit 😉 The salami and provolone combo is what makes this crave-worthy and I like the different textures of the lettuces. 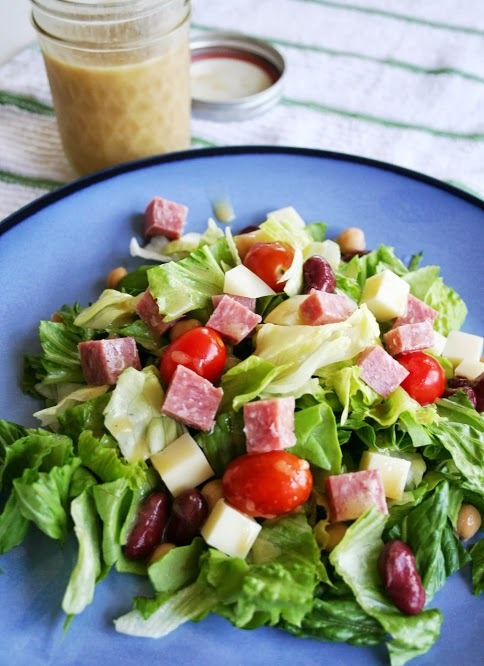 The vinaigrette compliments this salad perfectly, and thanks to the Dijon it stays well mixed for long periods of time. Thanks for reading, enjoy! Combine the first 8 ingredients in a large bowl. 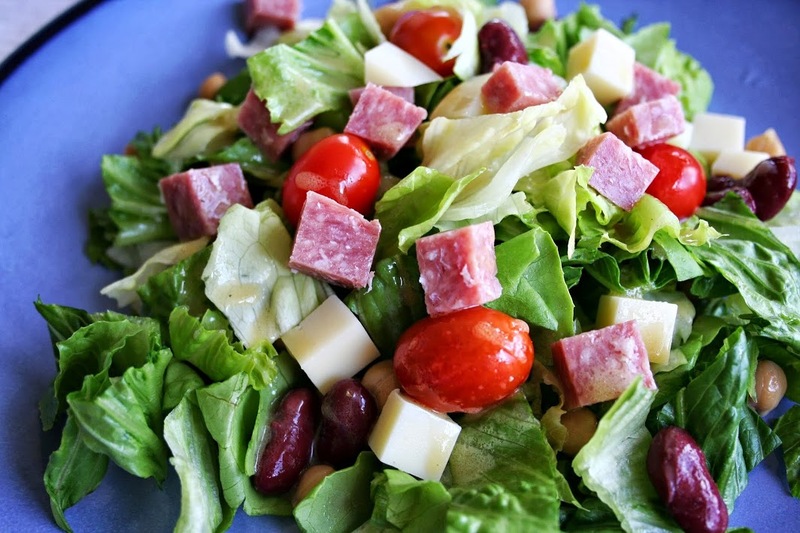 Toss with enough vinaigrette to coat. Season the salad with salt and pepper, to taste, and serve. Pour all ingredients in a 8 ounce jar, replace the lid and shake vigorously.